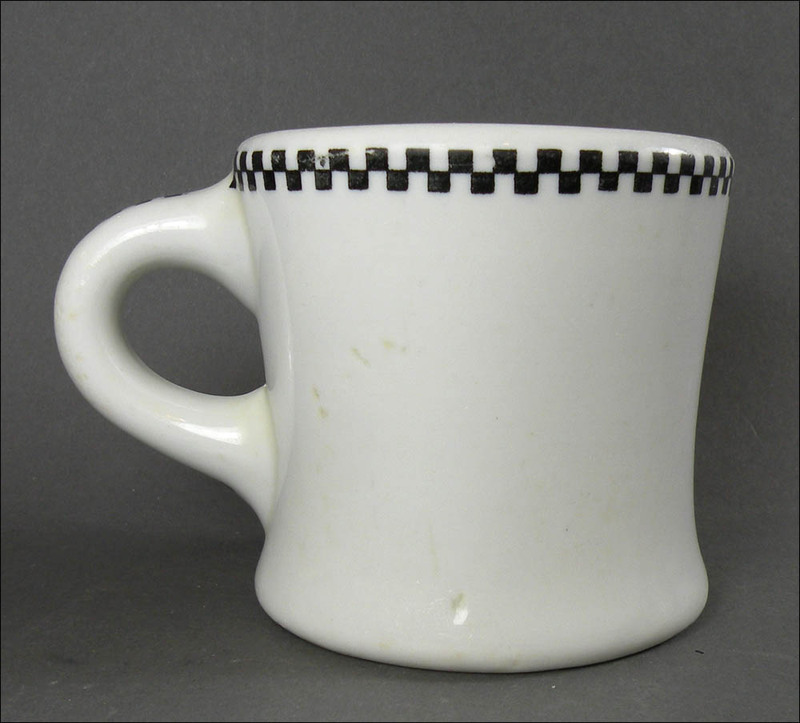 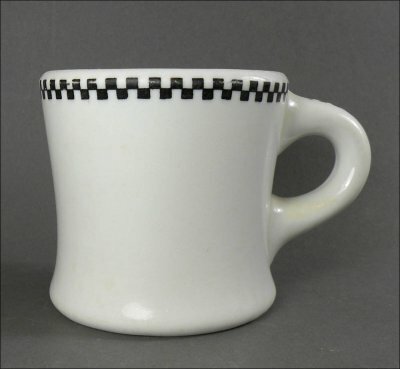 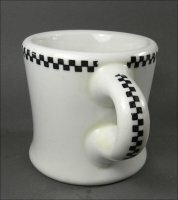 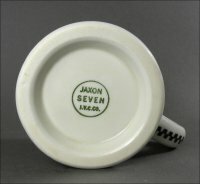 This mug is referred to in Jim Strano's book on Jackson as Checkerboard, and the company's earliest catalog shows it as Underglaze Print Decoration #112. It shows heavy utensil wear with some glaze skips and a couple of shallow gouges - all manufacturing issues. 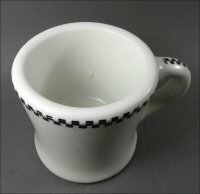 Inside the mug, about half way down, is a small clump of extra clay that was fired on that way. 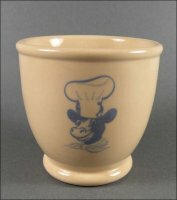 It's a handsome mug that has a lifetime of service yet to give.